Tickets are e-tickets and you will have received a confirmation email from tickets@ticketquarter.co.uk when you registered for your tickets. The e-ticket is attached to the email or if you have an iPhone, the ticket can be found at the bottom of the email. Each ticket has an individual barcode so you don’t need to print the tickets as we have scan from your phones. Please ensure you have downloaded the ticket to your phone before you arrive at the show as the scanner will not scan a screenshot of the ticket’s barcode. Tickets can be purchased online or at the show’s ticket desk all weekend. NB: the free bride (or groom) ticket offer ended 5pm 18/1/19 as advertised. 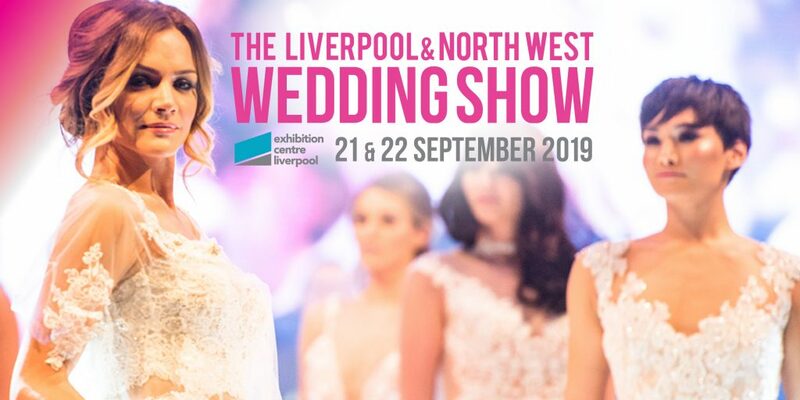 Visitors to The Liverpool & North West Wedding Show have been given a discount of £5 per day parking by the ACC Arena for this show – please follow the instruction on the Pay and Display machines. The car parks are located next to the Pullman Hotel and ‘in front’ of the Exhibition Centre Liverpool – use postcode L3 4BX and includes the new temporary multi-storey car park. Most Liverpool city centre-bound buses stop at either Queen Square bus station (a 15-minute walk or shuttle bus connection) or Liverpool ONE Bus Station, which is only a five minute walk from Exhibition Centre Liverpool.The CityLink Route C4 shuttle bus links Queen Square bus station, James Street rail station and Liverpool ONE Bus Station to ACC Liverpool. It operates every 30 minutes, seven days a week, between 7am – 8pm. Valid on this service are Merseytravel prepaid tickets and National Concessionary bus passes. When you enter the show, you can collect your free wedding magazine and this is where you can enter the competitions we are running to win your wedding venue with Flat Cap Hotels and to win £500 to spend with exhibitors of the show. To enter, please complete the registration forms at the registration desk with a member of our team. PLEASE NOTE: your details will not be passed to any third party and are used for the competition only, you have the option to opt in to hear from either Flat Cap Hotels and/or Bliss Events Company on the form. Each catwalk show is the same. Cafes and bars can be found in the Live Lounge and central seating area, which are run by Flat Cap hotels. There is also a cage run by CentrePlate at the rear of the hall. The show is held in the Exhibition Centre Liverpool which is fully accessible and on ground level. Accessible toilets can be found at the front and rear of the hall. Accessible parking can also be found in the car parks as detailed above.